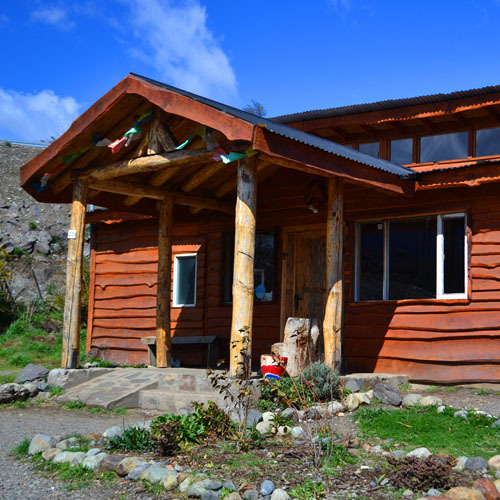 If you’re looking for a place to stay in Cerro Castillo, we have a great hostel and camping facility to base all of your adventures. 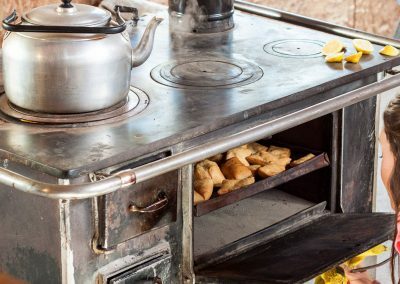 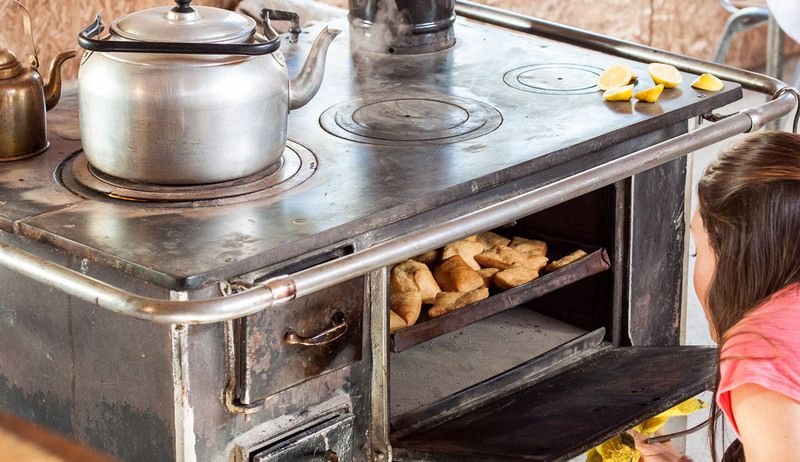 Come hang out with guests from all over the world and warm yourself around the fire fed stoves where you’ll be sure to hear some great stories! 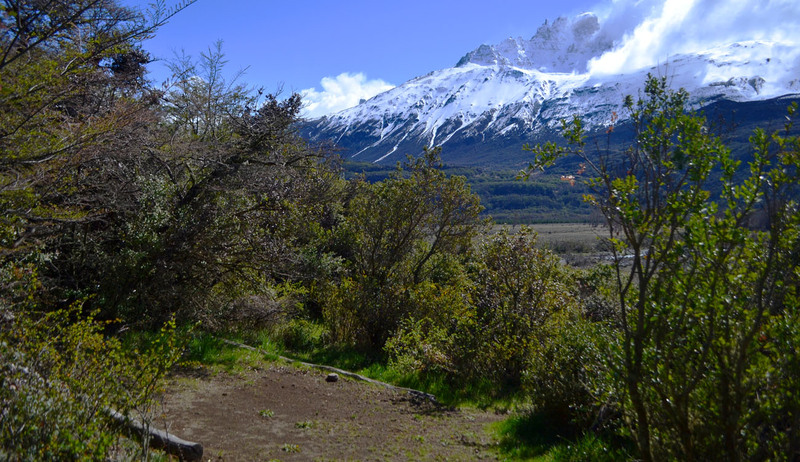 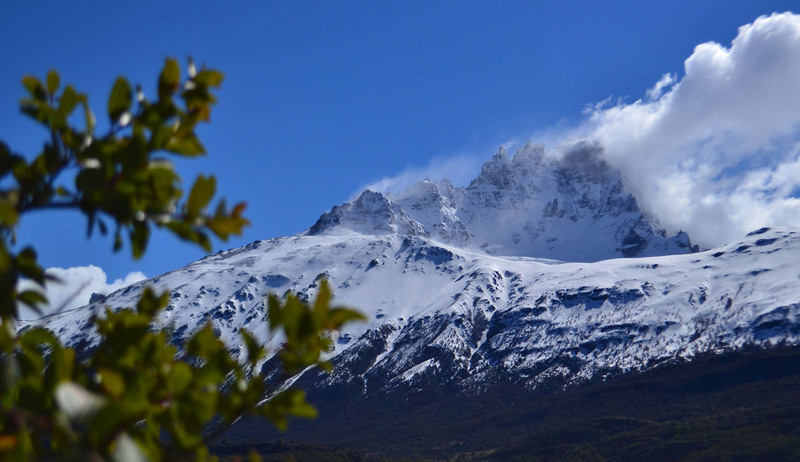 Come visit our little paradise in Patagonia! 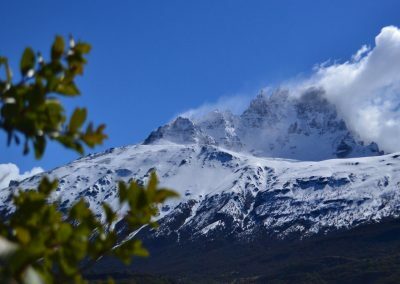 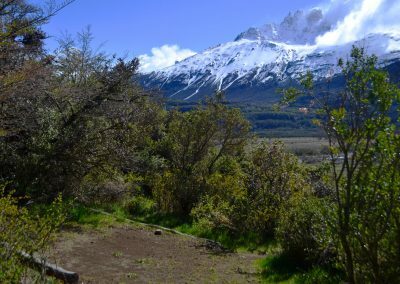 Our staff is open to helping plan your activities while in our area, and can help provide maps and route details within the Cerro Castillo National Reserve. 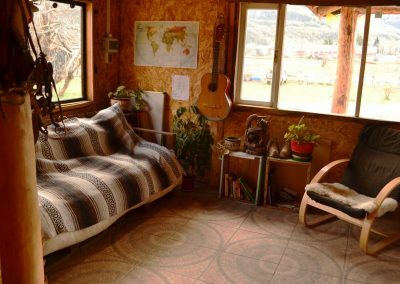 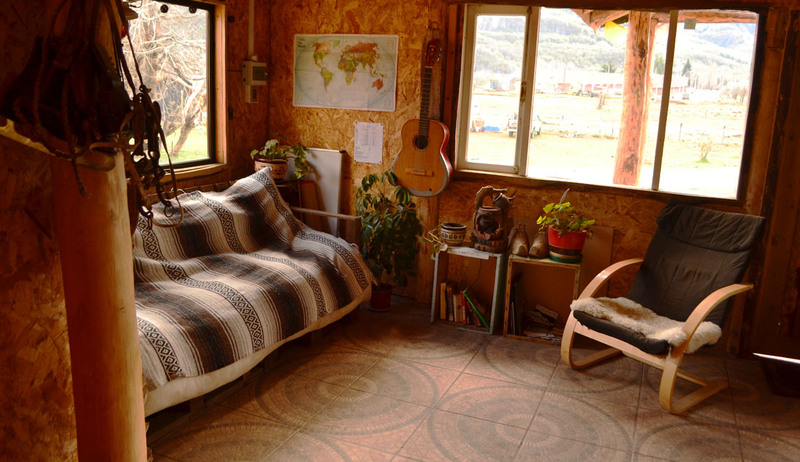 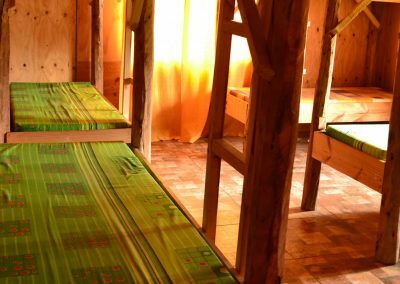 Senderos Patagonia’s hostel is equipped with two shared dorms with bunks, a full kitchen, living area, bathrooms and warm showers, as well as Wi-Fi and laundry services. 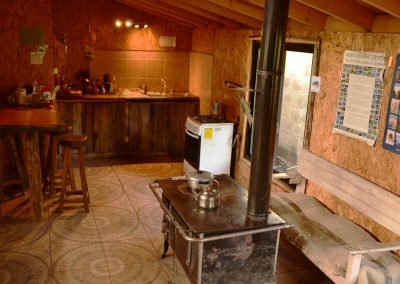 Our camping facility includes a separate bathhouse with private camping spots in our wooded area so you don’t feel like you’re in the middle of a small town. 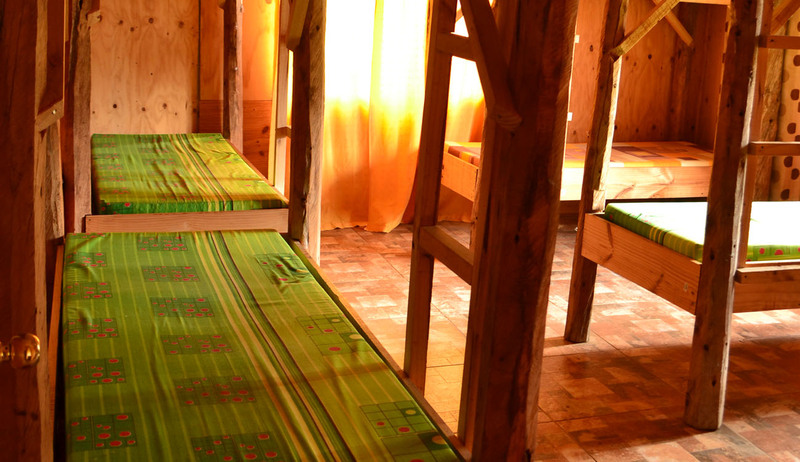 Hostel Prices: $10.000 CLP per person for full bedding, $8.000 CLP per person for just a bed with your own sleeping bag. 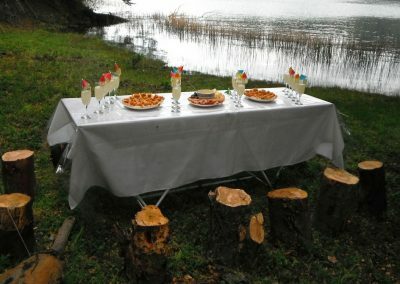 Camping $5.000 CLP per person. 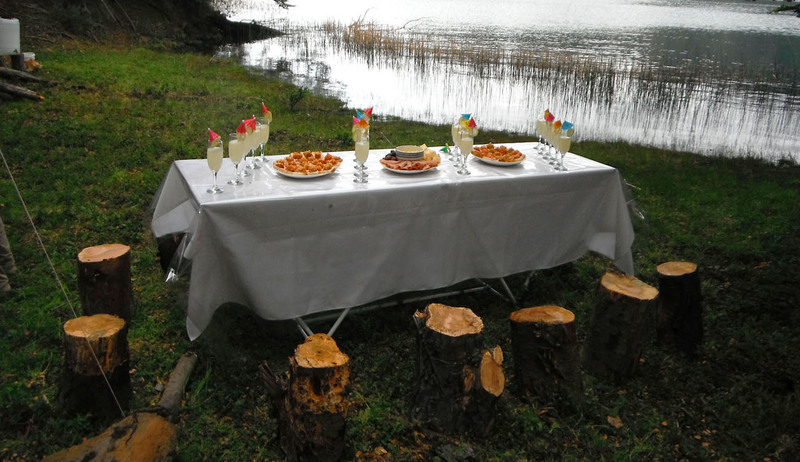 Our hostel can also be a great place to host your next special event or party. 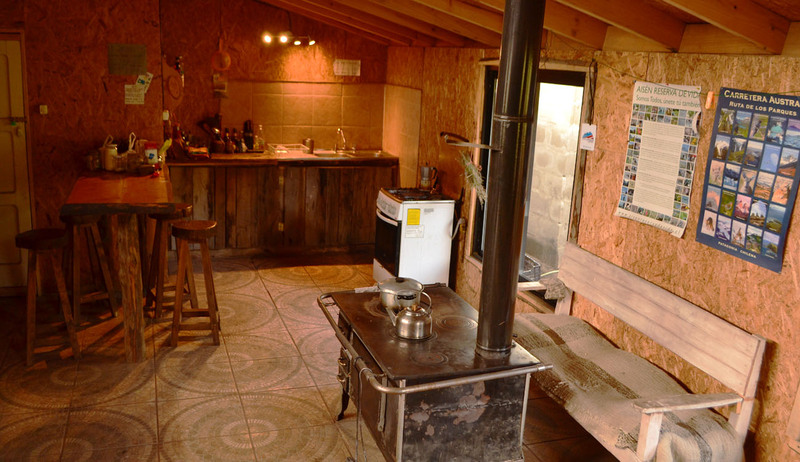 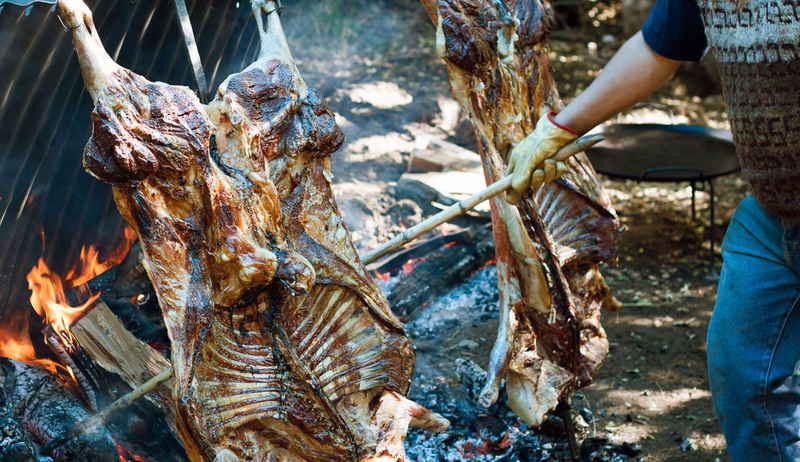 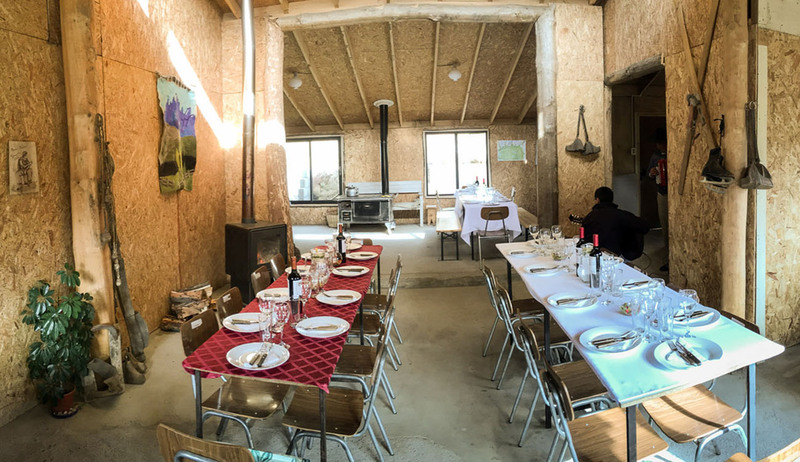 If you’re looking for a traditional Patagonia asado, that’s our specialty! 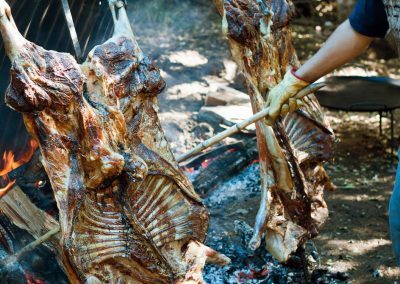 Enjoy a slow cooked, spit-fired lamb with traditional breads and salads from the region. 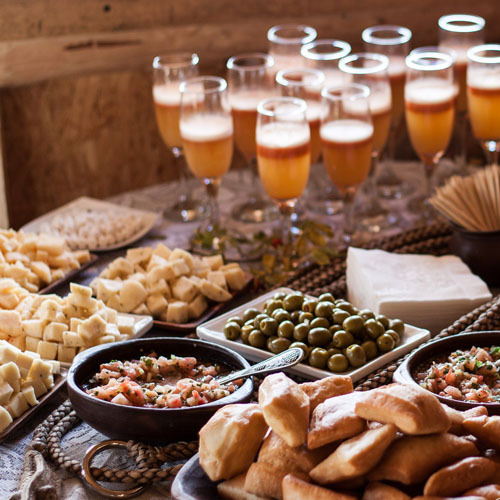 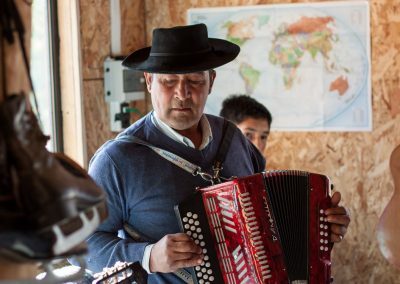 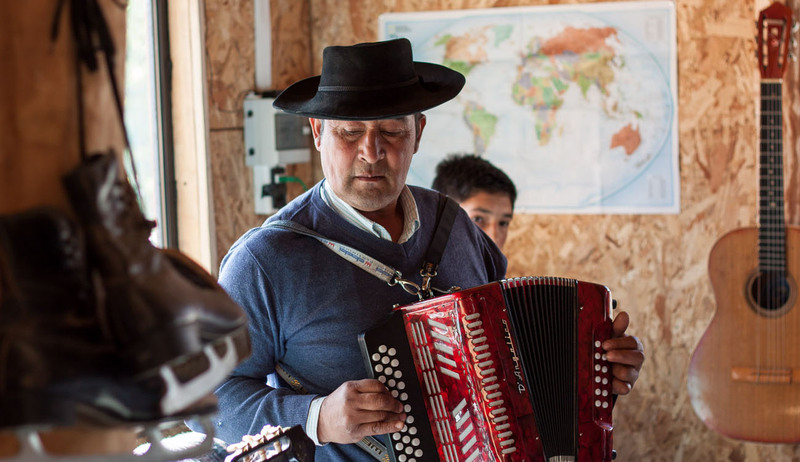 Treat yourselves to a famous pisco sour, Patagonia style, with a twist of calafate as you enjoy the local musicians from Villa Cerro Castillo. 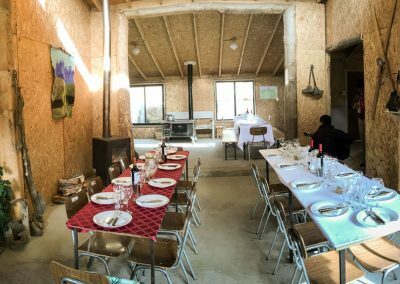 We can accommodate up to 30 people, so contact us today!